The Chinese newspaper The Global Times wrote: "China and India mustn't go for the throat". It further said: "Currently, India is a bit pushy in its relations with China. The country appears to be highly interested in facing off with China. But that contest is not the primary focus of the Chinese society." 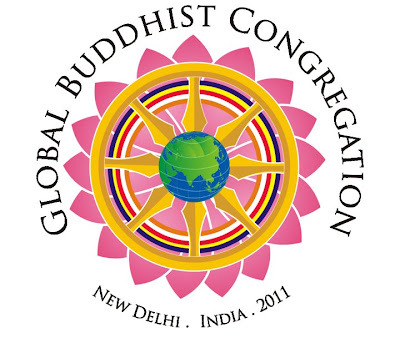 It seems that it is just because India is hosting a Global Buddhist Congregation on the occasion of the 2600th anniversary of the Enlightenment of the Buddha, the greatest Son of India in Rishi Sri Aurobindo's words. China wanted India to cancel the Dalai Lama's participation to the event. As the result China has decided to postpone the scheduled border talks. The Global Times continues: "Both countries should stay calm and not take small issues to a level of strategic hostility. India's power and its development will not make it a strategic enemy to China." Beijing should start practicing some of the Buddhist techniques which help quieting the mind. It would good for world peace. When one reads the Dalai Lama's message, one does not have the impression that he is an unreasonable 'devil' in monk's garb. Read it! It makes sense and it is relevant to today's world. By the way, the Buddhists should thank China for the unexpected publicity they got after the announcement of the postponement of the border talks. On 29th November 1956, on the occasion of the 2500th anniversary of the Buddha’s Parinirvana, I had the opportunity to meet Indian leaders and Buddhist representatives from many countries here in New Delhi. At that time I gave a detailed account of the historical development of Buddhism in Tibet and the unique Indo-Tibetan relationship. Since then the world, including India and Tibet, has witnessed many changes and so have the Buddhist traditions in different countries. Until the last fifty years or so, the world's diverse Buddhist communities had only a distant inkling of each other’s existence and little appreciation of how much they held in common. As the Buddha's teaching took root in different places, certain variations in the style in which it was practised and upheld evolved naturally. Indeed, the Buddha himself gave different teachings according to the predispositions of his disciples at different times. What distinguishes our contemporary situation is that almost the entire array of Buddhist traditions that evolved in different lands is now accessible to anyone who is interested. What's more, those of us who study and practise these various Buddhist traditions can now meet and learn from one another. Shakyamuni Buddha attained enlightenment in Bodhgaya about 2600 years ago, yet I believe his teachings remain refreshing and relevant today. Moved by a spontaneous concern to help others, following his enlightenment the Buddha spent the rest of his life as a homeless monk, sharing his experience with those who wished to listen. Both his view of dependent arising and his advice not to harm anyone, but to help whoever you can, emphasize the practice of non-violence. This remains one of the most potent forces for good in the world today, for non-violence is to be of service to our fellow beings. Siddhartha's renunciation - his choosing to live the homeless life - symbolises the practice of the training in morality; his six-year asceticism symbolises the training in concentration; and his attainment of enlightenment through the practice of wisdom under the Bodhi tree represents the importance of the cultivation of wisdom. The role of these threefold trainings in the Buddha’s life highlights their importance in our daily practice. To be able to carry out these practices, we have to study the Buddha’s teachings contained in the Tripitaka. In an increasingly interdependent world our own welfare and happiness depend on many other people. Other human beings have a right to peace and happiness that is equal to our own; therefore we have a responsibility to help those in need. Today, in a new millennium, our world requires us to accept the oneness of humanity. Many of our world's problems and conflicts arise because we have lost sight of the basic humanity that binds us all together as a human family. We forget that despite the superficial differences between us, people are equal in their basic wish for peace and happiness. Part of Buddhist practice involves training our minds through meditation. But if our training in calming our minds, developing qualities like love, compassion, generosity and patience, is to be effective, we must put them into practice in our day-to-day life.Even as our world continues to develop materially, there is increasing need for similar progress in our sense of inner values. The 20th century was a century of war and violence; now we all need to work to see that the 21st is a century of peace and dialogue. We Buddhists can contribute to this by learning from the world's other religious traditions and sharing with them the distinctive qualities of our own tradition. There is great emphasis on the practice of love and compassion in the Buddha's teaching, as in the teachings of other spiritual traditions, but it is important to recognise that compassion and love are fundamental to relations between sentient beings in general and human beings in particular. I believe that we should no longer talk about Buddhist ethics, Hindu, Christian or Muslim ethics, because these values are universal. Buddhism does not explain the virtue of values such as honesty and integrity in a way that is different from how Christianity or Islam or any other religious tradition explains them. Therefore, in recent years, I have found it more appropriate to talk about the need to foster what I call secular ethics. I refer to these values as secular ethics because believing in one religion or another or not believing in one at all does not affect our need for them. The basic foundation of humanity is compassion and love. This is why, if even a few individuals simply try to create mental peace and happiness within themselves and act responsibly and kind-heartedly towards others, they will have a positive influence in their community.I believe Buddhism does have a special role to play in our modern world. This is because, unlike other religious traditions, Buddhism uniquely propounds the concept of interdependence, which accords closely with fundamental notions of modern science. We can think of Buddhism in terms of three main categories – philosophy, science and religion. The religious part involves principles and practices that are of concern to Buddhists alone, but the Buddhist philosophy of interdependence as well as the Buddhist science of mind and human emotions are of great benefit to everyone. As we know, modern science has developed a highly sophisticated understanding of the physical world, including the subtle workings of the body and the brain. Buddhist science on the other hand, has devoted itself to developing a detailed, first-person understanding of many aspects of the mind and emotions, areas still relatively new to modern science. Each therefore has crucial knowledge with which to complement the other. I believe that a synthesis of these two approaches has great potential to lead to discoveries that will enrich our physical, emotional and social well-being. Although Buddhist contemplative tradition and modern science have evolved from different historical, intellectual and cultural roots, I believe that at heart they share significant interests in common, especially in their basic philosophical outlook and methodology. On the philosophical level, both Buddhism and modern science share the same view on the absence of absolutes, whether described as a transcendent being, as an eternal, unchanging entity, or as a fundamental substratum of reality. Both Buddhism and science prefer to account for the evolution and emergence of the cosmos and life in terms of the complex interrelations of the natural laws of cause and effect. From the methodological perspective, both traditions emphasize the role of empiricism. For example, in the Buddhist investigative tradition, among the three recognized sources of knowledge - experience, reason and testimony - it is the evidence of the experience that takes precedence, with reason coming second and testimony last. This means that in the Buddhist investigation of reality, at least in principle, empirical evidence should triumph over scriptural authority, no matter how deeply venerated a scripture may be. Even in the case of knowledge derived through reason or inference, its validity must derive ultimately from some observed facts of experience. The primary motive underlying the Buddhist investigation of reality is the quest to overcome suffering and perfect the human condition; therefore the Buddhist investigative tradition has been primarily directed towards understanding the human mind and its various functions. Our aim in seeking ways of transforming our thoughts, emotions and their underlying propensities is to find a more wholesome and fulfilling way of living. So a genuine exchange between the cumulative knowledge and experience of Buddhism and modern science can be deeply interesting and potentially beneficial as well. In my own experience, I have felt deeply enriched by engaging in conversations with neuroscientists and psychologists on such questions as the nature and role of positive and negative emotions, attention, imagery, as well the plasticity of the brain. I am grateful to the numerous eminent scientists with whom I have had the privilege of engaging in dialogues that have continued over the years through the auspices of the Mind and Life Institute, which initiated annual conferences that began in 1987 at my residence in Dharamsala, India. Of course, most people feel their own form of religious practice is the best. I myself feel that Buddhism is best for me. But this does not mean that Buddhism is best for everyone. What is important is what is suitable for a particular person or group of people. Religion, for most of us, depends on our family background and where we were born and grew up. I think it is usually better not to change that. However, the more we understand each other’s ways, the more we can learn from each other. By declaring my respect for all religious faiths, I do not advocate attempting to unify our various traditions. I firmly believe we need different religious traditions to meet the needs and mental dispositions of the great variety of human beings. All the major religious traditions make the betterment of humanity their main concern and all of them carry a similar message. When we view them as essential instruments for developing good human qualities such as compassion, tolerance, forgiveness and self-discipline, we can appreciate what they have in common. I am convinced that the most significant obstacle to inter-religious harmony is the lack of contact between different faith communities and consequently, the lack of appreciation of their mutual value. However, in today's increasingly complex and interdependent world, we have to acknowledge the existence of other cultures, different ethnic groups, and, of course, other religious faiths. Whether we like it or not, most of us now experience this diversity on a daily basis. Even amongst the various Buddhist traditions that have come about in different times and places, there are those who look to the collection of scriptures preserved in Pali as their source and those who look to the Sanskrit tradition. I believe that time has now come to communicate freely with one another, those in the Pali tradition engaging in dialogue with those in the Sanskrit tradition. After all, all our different branches come from the same common trunk and roots. As a Tibetan Buddhist monk, even today I consider myself a student of the Nalanda tradition. The way Buddhism was taught and studied at Nalanda University represents the zenith of its development in India. If we are to be 21st century Buddhists it is important that we engage in the study and analysis of the Buddha's teachings, as so many did then, instead of simply relying on faith. Therefore, the study and practice of the Buddha’s teachings is necessary to preserve and promote them. The Sangha played a pivotal role in this during the Buddha’s time, and I am happy that the tradition continues to this day. Consequently, it is important for members of the monastic community to abide by their vows to sustain the purity of the Buddha Dharma. In the past, given the nature of the different backgrounds under which the Buddha Dharma flourished in our different societies, there have not been many opportunities for Buddhists to come together and to discuss issues of common concern. This congregation has provided a much needed crucial opportunity. Now and in the future we need to encourage and foster an exchange of knowledge and experience among our different traditions and improve communications amongst us. I hope this will be the first of many such occasions that will enable us to foster better understanding and contribute more effectively to human happiness and peace of mind throughout the world. 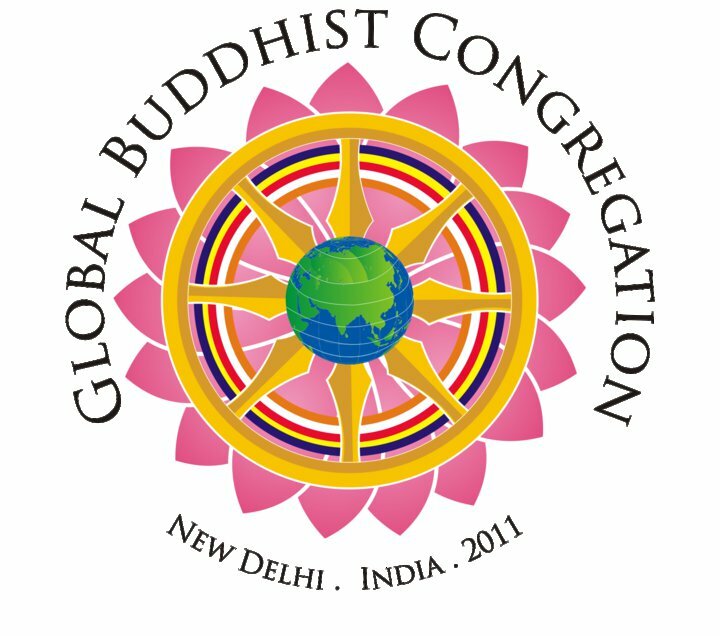 On the occasion of the 2600th anniversary of the Buddha's attainment of enlightenment in Bodhgaya, I offer my greetings to this eminent Global Buddhist Congregation. The ban on the release of a new movie in Tamil Nadu made it to the front page of the national press. Why? Because the film deals with an extremely hot issue, water. Dam 999, produced by BizTV Network from the United Arab Emirates and directed by Sohan Roy, is based on the award-winning documentary Dams - The Lethal Water Bombs and the Banqiao dam disaster which claimed 250,000 lives in China in 1975. Tamil politicians immediately saw a parallel with the Mullaperiyar dam in Kerala. Fears have been exacerbated after the 116-year-old dam developed cracks following mild tremors recently experienced in the region. While Tamil Nadu, beneficiary of the water released from the dam, continues to demand an increase in the height of the dam, the government of Kerala (the dam, controlled by Tamil Nadu is located in Kerala) believes that the life of several lakhs of people is in danger, and Tamil politicians reacted quickly and forced theatre-owners in Tamil Nadu to boycott Dam 999; it is against the interests of the state, they say. The dispute has been pending in the Supreme Court for years. Kerala had argued that the agreement on the Mullaperiyar dam giving Tamil Nadu a 999-year lease over the dam was signed during the Raj by Madras Presidency and the Raja of Travancore and is therefore invalid. At the same time, Kerala proposed to construct a new dam, a move which is fiercely opposed by Tamil Nadu 'as it would affect the state's interests'. If this type of incident can occur between neighbouring states of the same country, one can imagine the conflict which can be generated if a similar dispute arises between rival nations. In the 1995, Ismail Serageldin, then a senior vice president of World Bank had predicted: "The next World War will be over water." A great Lady has left us. She always fought for Freedom. Against the Nazis, when she was young and later for many other worthy causes. Once when her husband was President, he was not keen to receive the Dalai Lama, as it would upset the Chinese. She decided to invite him for breakfast at their private residence. The President had no choice to sit at the Dalai Lama's table. The world needs more Danielles. She spent her life deploying these powers. She spoke up for ethnic Kurds and Tibetans, railed against apartheid, colonialism and the death penalty, and in recent years passionately championed the right to clean water. To the exasperation of officials, she invited Fidel Castro to Paris and loudly criticised Ronald Reagan’s Central American policies. François, the only socialist to lead France since the current republic was formed, said his wife always considered him too moderate. The couple met during the second World War, when both were members of the resistance against the collaborationist Vichy regime. It was her sister who introduced Danielle to the charismatic Captain Morland – François’s code-name at the time – in Paris in April 1944. He was on the run from the Gestapo, and wrote in letters of hiding out in Burgundy with “this beautiful girl with her cat’s eyes firmly fixed on the beyond”. They married that October – as the story goes, he announced even before the cake was cut that he had to go and chair a political meeting across town. “I’ll come with you!” she replied. And so Danielle came and sat in her wedding dress at the back of the smoke-filled room as they plotted the aftermath of the occupation. She turned 20 the next day. Born Danielle Gouze on October 29th, 1924, in the eastern French town of Verdun, she was the daughter of secular, republican schoolteachers. Her father was a committed socialist who was sacked by the Vichy government for not giving the Nazi occupiers the names of Jewish pupils and teachers at the school where he was principal. Danielle joined the Resistance at the age of 17, with her elder sister Christine, and was later awarded the prestigious Resistance Medal. When François launched his political career in the Socialist Party after the war, Danielle’s profile grew with his. He became president in 1981 and was elected for a second term in 1988. When Mitterrand died in 1996, Danielle caused a stir by appearing at his funeral alongside his mistress Anne Pingeot, with whom he had a daughter, Mazarine. A famous photo shows Danielle comforting Mazarine at the graveside in front of the tricolour-draped coffin. “It was instinct,” she said. In her 1996 memoir, En Toute Liberté , she wrote that she had known about the daughter since her birth in 1974. François, she said, “excelled in the art of seducing. 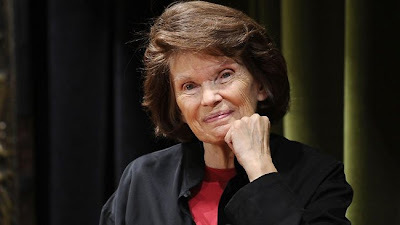 I had to make the best of it.” Danielle Mitterrand was determined not allow her husband’s career dominate her own life, but her political involvement accelerated after he left office in 1995. She set up a non-profit making humanitarian organisation, France Libertés, and was a tireless campaigner for her cherished causes. In 2005, she urged a No vote in the French referendum on the European Union constitution, saying it valued the economy more than people. It was soundly rejected. During a visit to the Kurdish north of Iraq in 1992, she survived a bomb attack on her convoy that left seven people dead and 17 injured. “I will continue fighting until my death,” she said afterwards. A decade before the “Arab Spring” shook the French establishment out of its close relationship with Tunisian dictator Zine al-Abidine Ben Ali, Danielle Mitterrand attacked his regime for “its efforts to destroy civil society”. She died on Tuesday aged 87 in a Paris hospital, having been admitted for fatigue and breathing issues four days earlier. Despite her strong association with the Socialist Party, her passing brought warm tributes from across the political spectrum, from the communists to the far-right National Front. “Neither setbacks nor victory caused her to deviate from the road she had laid for herself: giving voice to those that no one wanted to hear,” French president Nicolas Sarkozy said. “She had within her a perpetual youthfulness that made her extremely charming, even if you didn’t agree with her,” said her nephew, current culture minister Frédéric Mitterrand. “She was courageous. She was virtuous, brave and driven.” In Iraqi Kurdistan, a day of national mourning was called after her death. Mitterrand gave her last interview in October, as she was preparing to proudly mark the 25th anniversary of France Libertés. Photographs of the occasion show her in her apartment in central Paris, those fierce, demanding eyes that François described in 1944 staring into the camera. This Xinhua article is important because it is published in the main stream 'official' press. The hard-hitting commentary probably reflects the view of many in the Party. Li Hongmei, the analyst says: "In a nutshell, to grow up to be a real power and stand as a sound competitor, India needs to, first and foremost, break through its own psychological fence." One could, of course, speak of the 'bamboo curtain' in China's mindset: their century-old complex of superiority and their arrogance. Regarding the 1962 War, Li mentions India's jealousy which: "can sometimes be put in the same breath of inferiority. India could trace its sense of being so self-abased to the brief border war with China in 1960s, when it was beaten by the Chinese army. And India has since eyed China with deep-seated distrust." Interestingly, early October 1962, as China was planning to attack India Chairman Mao spoke of the possible isolation of China on the world scene, but he did not consider that it was a ‘decisive factor’: “China needn't fear isolation, as long as the front line troops fight well, we will be in an advantageous position. …It's better to die standing, than to die kneeling. If China fought successfully, in an awe-inspiring way, this will guarantee at least thirty years of peace”. Thirty years of peace and an inferiority complex, is what the Communist regime believe to have earned from the conflict. 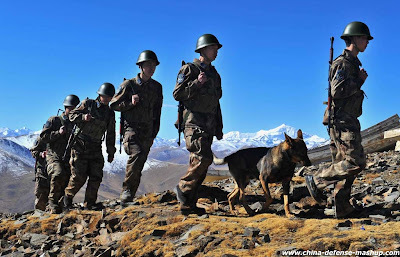 Though the infrastructure may more developed on the Tibetan side of the border, the Indian Army has certainly no inferiority complex vis-a-vis China today. Indian jawans and officers are a motivated lot, perhaps more than their Chinese counterparts. It has been reported that Chinese soldiers pay bribes in some cases not to be posted on the Indian border. This is not happening on the Indian side. BEIJING, Nov. 24 (Xinhuanet) -- India jitters at the sight of China gaining prestige in Asia, in particular, in South Asia and Southeast Asia, and takes China's ever-growing regional influence in recent years as a strategic encirclement to target and contain India. Not a few Indians believe the Chinese have a tradition of favoring encirclement game, as Jaswant Singh, former Indian finance minister, foreign minister, and defense minister, put it in his recent article: Asia's Giants Colliding at Sea? "China, has wei qui (known in Japan as go), which focuses on strategic encirclement. As Sun Tzu advised many centuries ago, 'Ultimate excellence lies...not in winning every battle, but in defeating the enemy, without ever fighting." Singh wrote in the article. It sounds nothing more than a loud jealousy, for the simple reason that China has done what India could not, especially when India perceives that China's influence has well reached to its doorsteps and created tremendous impact on those who should have banked on India as imagined. For India, the sense that a struggle for regional mastery is occurring has become increasingly keen. Chinese activity in Pakistan and Myanmar, the expansion of China's port agreements in the Indian Ocean (the so-called 'string of pearls'), and heightened Chinese naval activity in the Indian Ocean have jangled India's security antennas." said the article. This also explains why India has been living under the delusion that China lays out a strategic chessboard to lock up and contain India, and thereby every act and every move of China could touch a raw nerve of India. Jealousy can sometimes be put in the same breath of inferiority. India could trace its sense of being so self-abased to the brief border war with China in 1960s, when it was beaten by the Chinese army. And India has since eyed China with deep-seated distrust. The Indian media are always given to wild speculations on what on earth China intends to do. Any move Dragon takes in the region would in all likelihood vex Elephant. On this basis, India would be bent on plotting to break through the so-called Chinese encirclement, and Mr. Singh would produce the delusional article conjuring up a picture of two giants colliding at sea. Perhaps, when Mr. Singh turned out the article, he has yet to comprehend what it is as reality: What China has thus far done is a have-to as a nascent leading power with steady development, but China has already avoided setting foot on a path that many other great powers would follow in their history of growth and rise----invasion and plunder. Instead, China has sought after a win-win model when it develops economic and trade relations with its neighbors, including India. Why India appears so impatient to take more agreeable strategies in its periphery is still beyond understanding. But one thing is certain: Today's India, no matter how anxious it intends to lead the region and even the world, is far from potent and prosperous to act of its own accord----By currying favor with China's neighbor, in particular, those who have brewed disputes with China, India would assume, it could instigate these smaller nations to engage in a gang fight against China and contain China's growing clout in the region. Unfortunately, either India or Mr. Singh seems to have miscalculated the situation: Nowadays, it is no longer those who have only teeth and muscle that can finally loom on the horizon posing as winners, but those who are confident and courageous, and have a strong body with a sound mind, the latter more important for a great power. India might as well bear in mind: To build up a real power, neither self-satisfaction nor self-inferiority is a mature and constructive mindset. In actuality, India has already learnt a good lesson in this regard. Its iron-clad suspiciousness of China and shortfall of confidence in opening to others put sand in the wheels of its own progress. Two months ago, Industrial and Commercial Bank of China, or ICBC - the world's biggest lender by market value, set up business in India, which is the first of four Chinese lenders to start operations in India and was expected to greatly boost investment in India's backward infrastructure sectors and foster the growth of a rupee-yuan market. While in comparison, even more than a decade ago, the same operations started up in Southeast Asian countries bringing an impetus to the local economies and remain as booming even today. 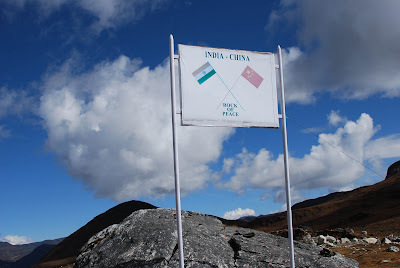 Back in 2006, China and India reopened crossborder trade through the Himalayan Nathu La Pass, 44 years after a brutal frontier war shut down the ancient route. It was expected to give a major boost to bilateral trade between the two countries. But, it turns out to be a picture of contrasts — ambitious tradesmen on the Chinese side vs. slackness of the Indian businessmen. If India were as courageous as what China has managed to do — daringly reaching out to attract foreign investment and confidently going global, and perhaps, if India could forgo its restrictions on Chinese products and investment, it would progress even faster and would really rival China in the foreseeable future. "No competition, no progress", which is an inbuilt principle in market economy. If India could carry itself with some ease and confidence, it would not be belittled by others, including China. But if it persisted in its "strategic encirclement" thinking of its giant neighbor, India would virtually step on a loss-making route, at least, in mentality. In a nutshell, to grow up to be a real power and stand as a sound competitor, India needs to, first and foremost, break through its own psychological fence. A great International Conference on River Waters Perspectives and Challenges for India was held in Delhi between November 18 and 20 at the India International Center in New Delhi. It was organized by the Foundation for Non-violent Alternatives (FNVA). Nobody can today doubt that 'Water' will be the next source of conflict within Nation-States or between neighouring States. The Conference was convened to offer a common platform for countries in the region, upper riparians, middle riparians and lower riparians, to draw up a sustained plan of action to withstand the potentially disastrous effects of the impending water crisis on the basis of fair equitable utilisation of river waters originating from the Third Pole. I said that the Conference was 'great' because for the first time, scientists/experts from Australia, Bangladesh, Central Asia, China, Finland, France, India, Mekong Region, Myanmar, Nepal, Pakistan, Sweden and the UK sat together and tried to find solutions to this sensitive issue, with main objective to establish a transparent dialogue and cooperation amongst Asian States. We recognise the right of the growing economies of the region to develop energy, resources and water for their development needs. 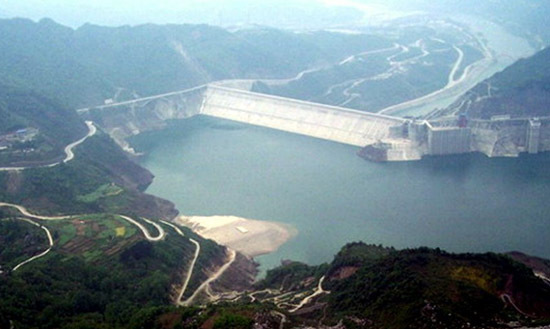 However, in view of the unquantified risks – climate change, economic uncertainty and social and ecological damage, we call for a pause to reflect on further construction of large dams until all parties take full account of the balance of ecological, economic and human impacts along the entire length of the watercourse and prioritise the rights and interests of all riparian peoples in present and future projects. 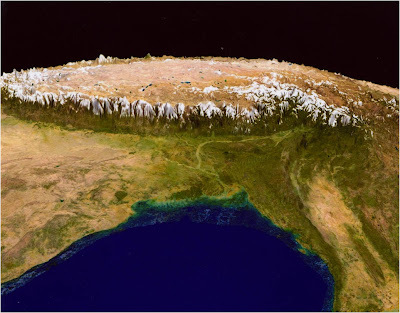 The waters of the Third Pole, its glaciers and snow, its rivers and lakes, have importance and impacts, including far downstream, and thus constitute a common heritage of importance to all humanity. Their stewardship is a shared responsibility and the benefits they bring are a right held in common by all the inhabitants of the region, from the Qinghai-Tibet plateau to the estuaries, for present and future generations of the peoples of its watersheds. Today the waters and cryosphere of the Himalayan and Trans-Himalayan Region are threatened by over-extraction, overambitious engineering, pollution and climate change. This in turn poses a threat to the stability of the region’s weather systems and the health and livelihoods of the more than one billion people who depend on its rivers, and to the survival of the many other forms of life they support. Historic tensions and regional rivalries have impeded the full cooperation and creative thinking that is required to prevent further deterioration in the Third Pole. We urge all countries, especially the largest riparians India and China, to lead the effort, in cooperation with all the governments of the region, to institute the wide ranging and urgent collaboration that responsible stewardship and the restoration of the health of the region’s transboundary rivers now demands. To adopt a holistic, cooperative and multilevel approach to the management of transboundary rivers, taking the health and flow of the river as the prime value. To institute and support confidence building exchanges across national boundaries, between upper and lower riparians and across all relevant sectors of society in pursuit of mutually beneficial development and resource stewardship, to include official, scientific, technological and civil society exchanges. Tenzin Norbu, Environment Desk, DIIR, Central Tibetan Administration, Dharamsala. Dr Alistair Rieu-Clarke, Senior Lecturer in International Law and heads the International Water Law Research Cluster at the Dundee IHP-HELP Centre. It is not well known that Arunachal Pradesh, which attained statehood in February 1987, is one of the fastest developing states of India. Though the state went through few weeks of instability after the untimely death of former chief minister Dorjee Khandu in a helicopter crash in April, peace has now returned to the state. Arunachal is a very sensitive state with a long international border with Bhutan (160 km), China (1,080 km) and Myanmar (440 km). It bore the brunt of the Chinese attack during the 1962 Sino-Indian War. Claude Arpi meets General J J Singh, former army chief and now the Governor of Arunachal Pradesh, who spells out the priorities and his vision for this border state. The governor also revisits the 1962 war and shares his perceptions for the future. Could you tell us a few words about your state? Arunachal Pradesh is the eastern most state of India. It is one of the few states in India which has a boundary with three countries (China, Bhutan and Myanmar). Therefore its position is geo-strategically important. It is also our gateway to South-East Asia. It could be a hub for trade, commerce and India's 'Look East policy'. This shows the importance of this region. It is also a resource-rich region. It has natural resources in abundance, not yet fully discovered. In fact, it is an undiscovered gold mine. It has oil, coal and other resources like forests and fresh water. Arunachal has the most luxuriant flora and the fauna. We grow all sorts of fruits such as kiwis, walnuts, apples, pineapples, bananas, litchis and also oranges. The state could supply the entire region with high quality oranges. It has an amazing variety of flora and fauna and is one the biodiversity hotspots of the planet; perhaps one of the few remaining. Sometimes for miles, there is no habitation, only forest covered mountains. There are places which have never been visited by men. It is one of the few 'as God made it' places left on the planet. But because of its remoteness, the mountainous terrain and the densely forested areas, development, till recently, lagged behind in many other parts of the country. Since 2008, development has been the focus of the state government. With an immense development package and unflinching support of central government, Arunachal is going through a historic phase. Kindly elucidate on the visit of Prime Minister Dr Manmohan Singh. The prime minister came in January 2008 and offered a package of Rs. 24,000 crore to be utilised during the next six to eight years. Since then, one can say that no part of the world is being developed at this pace. To give you two examples: there will be a four-way lane from Itanagar to Guwahati (in Assam) as well as a Trans-Arunachal highway of 1,600 kms, connecting the western part of the state to the easternmost part, running through and connecting eleven district headquarters en-route. Today to go from one valley to another, one has to come down to Assam and go up the next valley. Once the trans-Arunachal highway is completed, we need not come down the feeder roads to Assam. The new trans-Arunachal road will thus benefit the people of the state. The work on this project is being started from various points, simultaneously. We have already connected the 16 districts headquarters and now we are going forward to various areas and settlements not connected as yet. An airport has been sanctioned for Itanagar by the prime minister during his visit in 2008. Itanagar is one of the only two state capitals of the country today which do not have an airport. As this may take some time, in the interim phase, we are thinking of developing short taking off/landing airports. I would call these new airfields, 'subsidiary airfields', though they are usually known as Advanced Landing Grounds. There are eight ALGs under development in the state. I prefer to use the term 'subsidiary airfields', because ALG is a military term and we want to use these airfields for the benefit of the people. The priority will be the civilian use. Are you thinking in terms of eco-tourism? In five or ten years, most of our people will perhaps prefer to come to Arunachal rather than go to Switzerland. We have such a variety of landscapes: glaciers, alpine climate, and then the tropical and the rain forests. In Arunachal Pradesh, you can come down from 20,000 feet to 1,000 feet over a distance of 150 to 200 km. Such gradients are very rare anywhere in the world and have led to development of immense varieties of flora and fauna and natural vegetation. We are thinking along many dimensions. We are thinking in terms of adventure tourism (the state has the longest stretch of the Himalayas), mountaineering, white-water rafting; we are also thinking of religious tourism as the state not only has Tawang, one of the largest Buddhist monasteries after Lhasa, but also Parasuram Kund, a very famous Hindu pilgrimage near Tezu and several other religious sites. We will of course lay increased stress on eco-tourism. In last three years we discovered one new species of bird, one of a fish, one of a mammal called 'Black Pica' as well as a rare butterfly. Four new species have been discovered in three years and this has been documented. This is why I call it 'an undiscovered gold mine'. In some places, development and tourism have spoiled the original beauty of the place. Would you like to say something on this? We are trying to make sure that this development does not happen overnight; people should not be overwhelmed by development. Development should be paced so that it can be absorbed. Most important of all, the Arunachalis should be the first beneficiaries. If a dam is planned, a social commitment to improve the life of the local people (by creating a school, a hospital, providing jobs, etc.) is the first priority. Social commitment cannot be forgotten. As a governor I always emphasise this: 'Arunachalis first'. In 10 years time, the Arunachalis may be the richest Indians by per capita income standards. The population is small and between tourism and power projects, Arunachalis have a bright future. We can sell the surplus power produced by hydropower plants and get handsome revenues for the state. The projects being undertaken have a long gestation period, some may take upto eight or ten years to concretise. In the meanwhile, tourism is something that we can make a livelihood from and provide jobs to many young people. Besides this, handicraft development like in the Poma village (a pet project of the governor and his wife to create beautiful crafts using bamboo) can help. Today 60 or 70 families are surviving in this village without having to come to the town. One point should be remembered: Arunachalis are the most patriotic Indians. They feel so strongly for the country. For example, they went to Jantar Mantar and told the Chinese clearly and loudly: "We are part of India". They are the ones who first protested against the stapled visas. Do you still have the traditional village councils? Yes, many of the civil cases and local disputes over land or water are settled by these village councils. Additionally, family and community disputes are settled by the councils. However, criminal aspects are progressively going to the judiciary which is now being separated from the executive. The decisions of the councils have been traditionally accepted by the community. It is probably why the crime rate is very low in Arunachal. Would you kindly refer to the infiltration of Naga rebels in two districts of Arunachal? The districts of Tirap and Changlang are affected by a spill-over of the Naga problem. However, tackling the issue is not very easy as the underground cadres of banned organisations simply cross-over the international border and find safe havens when pursued by our security forces. Fencing the entire border in this area is also not a viable option because of the very tough and undulating physical terrain. The central government is well on the way to resolve the larger Naga problem and I am sure the case of Arunachal will be resolved alongside. You mentioned to the media that the army could help? The situation should not get out of control. It is basically a social, political and military problem. Talks are going on and people basically want peace; they are fed up of violence, they want to get along with their lives. The problem, I would say is in a declining phase. In the past year more than hundred boys have already surrendered and joined the mainstream in Tirap district alone. Our army has been playing a very positive and constructive role in all these developments and also providing a sense of security to the residents. Could tell us about the creation of the Arunachal Scouts? The 1st battalion of Arunachal Scouts was successfully raised in November last year after persistent efforts from both the Raj Bhavan and the state government. We have now requested the central government to sanction at least three more battalions over a period of three to five years, including a dedicated training centre. The 'Scouts' will be a force multiplier for the regular army units in the days to come. They can live off the land, can speak local language and need no acclimatisation. The Arunachali youth will get a chance to serve their motherland as well. This will pay us rich future dividends. India still has the scars of the conflict with China which occurred some 50 years ago. Could this happen again? I am a soldier. I have served in the entire north-eastern region. I can tell you that fighting a war is a very difficult job. During my last interview in Kolkata as army chief, I told the media: "I want to assure you that 1962 will not be repeated". It was in 2007. Today, we are even better prepared; it cannot be repeated. In 1962, we did not have even a chance to fight. It was not expected, we were not prepared, we were not trained properly and most intelligence assessments were not satisfactory. In 2007, I visited China as the Chief of Army Staff. I got a warm welcome and we discussed counter-insurgency exercises. It is something which was unconceivable in the 1980's or 1990's. Since then, these exercises have been conducted a few times. Further, today we have many high-level exchanges. The Chinese are coming to the National Defence College we are going to their National Defence University. Yes, there is a dispute on the border, but by and large there is tranquility along the Line of Actual Control. We have continued high level dialogues to sort out the issue. Today, China is India's largest trading partner. Our relationship is only growing in strength rather than in discord. The Indian Communists are scratching their heads: is the People's Republic of China a Communist State? 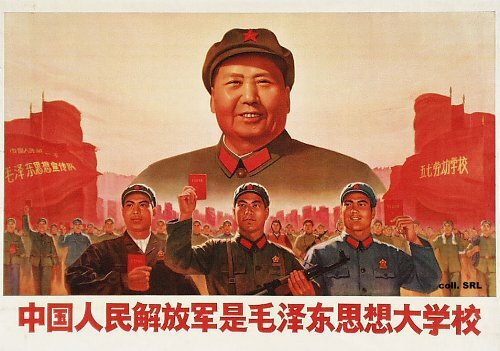 Is the Chinese Communist Party communist or capitalist? The problem of the Indian Communists is that they don't read the Chinese press, they could find an answer. Chinascope, the website which published the translation, gives the historical background: “Hide one’s capabilities and bide one’s time” or “Hide one’s ambitions and disguise one’s claws”, comes from a well-known Chinese historical novel, 'The Three Kingdoms' based on real stories from the end of the Han Dynasty (25 AD-220 AD) to the Three Kingdoms era (220 AD- 280 AD) of Chinese history. The kings of the Three Kingdoms were Cao Cao, Liu Bei and Sun Quan. When Liu Bei was seeking refuge in Cao Cao’s territory, he was afraid that Cao Cao would kill him if he did not hide his ambition to unite the whole nation and become king. By working hard in his backyard vegetable garden every day and pretending to be cowardly, he successfully misled Cao Cao, who no long viewed Liu as a competitor. Liu Bei’s strategy was called “hide one’s ambitions and disguise one’s claws”. The answer to the question of the Indian Comrades is therefore: "Yes, China is Communist today, but it is hiding it". Well, hiding it, not so well. In Beijing's recent elections, several independent candidates ran to be nominated as representative to the People's Congress. An article is Chinacope said: "however, the Chinese authorities prevented their nomination. Many found their names had been eliminated from the final list of candidates. On November 8, when the election results for the nomination to the People's Congress in Beijing came in, only the names the government authorities chose appeared. No independent candidates made the list." Ms. Wu Qing, a professor from Beijing Foreign Language University, told Voice of America: "University students received tremendous pressure from the university authorities. There were security personnel, secret police, the regular police, and people from my neighborhood at the university. Many students felt unprecedented pressure... The hidden guidelines from the authorities insured that the candidates recommended by the grass roots masses would never make it to the final nomination list." Does the CPI want to keep emulating the CCP? They will have to decide. For the first time in many years, the Communist Party of India (Marxist) will debate whether the Chinese model of socialism - an inspiration for many in the Indian Left - is the “right” way of achieving an equitable society. Attempting to review the party’s ideological approach will be its central committee of 80-plus members at a conference of two days and a half, beginning on Friday at the party headquarters, AKG Bhawan here. “The party never felt the urgent need to really debate this issue as it is feeling now, following the West Bengal debacle,” a source in the CPI(M) told the DNA on Thursday. Former Bengal chief minister and politburo member Buddhadeb Bhattacharjee is unlikely to attend the central committee meeting as has been his practice (with outstation meetings) since the Left’s historic rout in that state in May. The CPI(M) last held a serious ideological debate in 1968 in Bengal’s Burdhwan district after the Naxalbari uprising the year earlier. The choice then before Indian Communists was to either emulate the erstwhile Soviet Union or China. Since then, although the CPI(M) claimed to have aligned with neither model completely, instead seeking to evolve an Indian view peppered with realities of caste and religion, the party’s stagnation in West Bengal seemed to have busted the long-held myth. “We need new ideas to take the party forward. We need the youth to join us and we need to be seen to be one with the masses,” the party source said. “What are minimum wages for workers in China? That country’s need to increase productivity has turned it into a capitalist economy controlled by the State instead of market forces,” the source said adding such questions are likely to be raised at the Central Committee meeting. Once the debate is initiated in the weekend, the CPI(M) politburo will review a draft ideological resolution in December. The draft will to be presented for adoption at the party congress in Calicut in April 2012. At a time when the Indian Left is desperate to gain lost ground in politics, presenting India’s multi-ethnic, multi-party democracy as a differing option to the Chinese story may be a tactical move. But not everyone within the CPI(M) appears to be convinced, Bhattacharjee for one. The conclusion of this article of The People's Daily (reproduced on China Military Online) is worth studying: "deploying 100,000 more soldiers along the border areas with China is more of a political move than a military one. After taking necessary precautions, China just needs to continue to develop friendly relations with neighboring countries and adhere to its established security strategy, and then India's troop increase will be in vain." It is surely a political move, but also a deterrent against any misadventure from Beijing. The Chinese leadership should become aware that would it dare another 1962, it will hurt China as much as India. It will not be an one-way affair like 50 years ago. The improvement of India's defense capacity is a deterrent; it is not a 'military move' in the sense that India will not be the first to attack, knowing too well its limitations in infrastructure development and not being an 'expansionist State by nature. India's troops increase will not be in vain, if the above message is heard in Beijing. No doubt, China will continue to "develop friendly relations with neighboring countries". Hopefully, it includes India. Beijing, Nov.10 (People's Daily Online) --India's defense ministry has already approved a 13-billion-U.S.-dollar military modernization plan and has decided to send an additional 100,000 soldiers to the China-India border areas over the next five years. This move is regarded as India's second phase of a military buildup along the China-India border. Once the plan is approved, it will be the Indian military's largest ever expansion plan and its largest increase in the number of soldiers along the border with China since the India-China border clash in 1962 ended. India's move is first associated with the adjustments to its national security strategy. India has begun to consider China as an opponent. The East China Sea and South China Sea issues have further continued to expose some countries' "envious, jealous and hateful" attitude toward China. The changes in the international and regional security landscape will negatively affect China and other countries involved, but they will benefit one country: India. The United States has recently cemented its ties with India and has regarded India as a crucial strategic alliance. At the same time, Japan has been busy facilitating the expansion of India’s military influence into East Asia. India not only stepped into the South China Sea issue, which is very sensitive to China, but also increased troops on the border between China and India and upgraded their weapons. India is also strengthening its military exchanges with the countries around China. When I was sent to the Indian Army Education Officer Training Center to study and participate in exchanges in 2007 and 2008, I met military officers from Vietnam, Afghanistan, Kazakhstan, Laos and Outer Mongolia. Second, the move made by India is connected with some practical issues of the China-India relations. The general development trend of China-India relations actually is good. The high-level exchanges and political relationship between the two countries are quite harmonious. However, the people of the two countries do not understand each other well and the mutual military trust is also not strong enough. Between China and India, there are not only border issues left over by the history but also practical issues of the complex triangle China-India-Pakistan relations. India always worries about the good relationship between China and Pakistan, which is the biggest problem between China and India. Meanwhile, India insists joining hands with Vietnam to step in the South China Sea issue. All of these factors will not help promote the mutual military trust between China and India. India incorrectly believes that China develops Tibet as a shield, and therefore it continues to strengthen its military power on the border to guard against and contain China. India's arms expansion is also related to its domestic political climate. Certain Indian elites always take China as a frame of reference for India's development. As China has a clear lead over India in many areas, they are worried that India may lag behind China in seizing energy resources, and thus naturally see China's peaceful development as a "threat." Certain Indian elites and media outlets have repeatedly criticized the Indian government for its lack of military investments, which they claim has led to slow development of the country's armed forces. However, the country's rapid economic development in recent years has set a solid foundation for its military buildup. India is now emerging as a major buyer on the international arms market, and large amounts of advanced weapons from the United States, Russia, Israel and European countries have supplemented India's troop increase along the border areas with China. In fact, deploying 100,000 more soldiers along the border areas with China is more of a political move than a military one. After taking necessary precautions, China just needs to continue to develop friendly relations with neighboring countries and adhere to its established security strategy, and then India's troop increase will be in vain. My article Cruel overlord called China appeared in The Pioneer. Click here to read. The West is silent over rights violations in Tibet because it hopes China will bail out Eurozone. Meanwhile, Amartya Sen goes to Beijing with a begging bowl. A similar piece appeared in The Statesman. The title was Two different worlds. Click here to read. 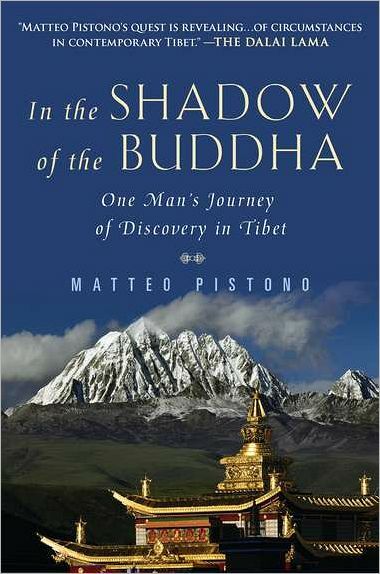 Some books come at the right time on the shelves; it is the case of “In the Shadow of the Buddha” (one Man’s Journey of Spiritual and Political Danger in Tibet) written by author and spiritual seeker Matteo Pistono. For the past few weeks, Tibetan activists have been in the news trying to bring the horrifying self-immolations of Tibetans monks and nuns to the attention of the world leaders. Hundreds them, shouting, “Tibet is burning”, invited themselves to Cannes on the French Riviera where the G20 Summit was held. That the leaders have remained deaf is another matter, but the Tibetan issue is alive. The book deals with many aspects of the Tibetan question simultaneously: spirituality, mysticism, history, politics and human rights. The author jumps from the notes of his pilgrimage in the footsteps of Terton Sogyal, the guru of his Buddhist teacher (Sogyal Rinpoche, himself a reincarnation of the Terton), to his discovery of the human plights of the Tibetans. Terton Sogyal (1856-1926) was a 19th century tantric master who was a bandit in his youth before becoming one of the greatest mediation master of his time; he offered special teachings to the Thirteenth Dalai Lama. Pistono explains that there was “a prevailing belief in Tibet that Terton Sogyal’s mantras and prayers could protect Tibet from foreign Armies”, adding: “Not unlike the Dalai Lama today, Terton Sogyal was a master at integrating his political duties with spiritual practice, while never losing the pure motivation that holds other’s well-being as the priority”. It is a fact that Tibet has never believed in ‘secularism’ as it is propagated in India today. During the 17th century, the Fifth Dalai Lama established a form of government, known as the Ganden Podrang which was characterized by a ‘harmonious blend between religion and politics”. Till early this year, the Dalai Lamas were the spiritual and temporal leaders of Tibet. 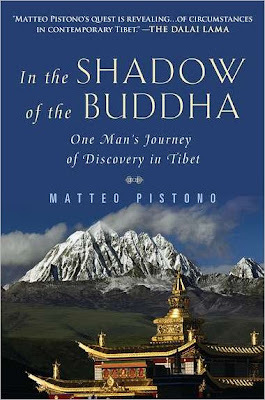 What makes Pistono’s story more fascinating and relevant to the present day is that, while on Terton Sogyal’s spiritual trail, he manages to collect proofs of human rights violation in areas which are right now the site of unrest. The book introduces the reader to some not-too well known aspects of the Tibetan Buddhism. Guru Padmasambhava, the great Indian master who visited Tibet during the 8th century, thought the time had not come to reveal his entire teachings; the world was simply not ready. He chose to hide spiritual treatises and objects in rocks and lakes in several places of the Land of Snows; these Hidden Treasures are known as Termas. He prophesied that at an appropriate time, they would be ‘revealed’ or rediscovered by powerful Lamas or yogis known as Terton. Terton Sogyal was one such ‘revealer’. He had a special expertise in the ‘phurpa’ ritual. The ‘phurba’ is a three-bladed, single pointed dagger symbolizing the skillful means of compassion, which during special pujas (Vajrakilaya) helps to destroy one’s self-cherished ego. The problem is that, following a similar logic, one could ask why are Tibetans today living in exile, recognized by none, forced to immolate themselves to inform the world about their plight? Tibetans will probably answer that their ‘storehouse’ of bad karma was too full; it has to be exhausted and the rituals help. The spiritualist would probably respond: “The results of these pujas take time to fructify and in any case, in the meantime the Tibetan Lamas (thanks to the exile) are able to spread their message of love and compassion the world over”. This is certainly a way to see the last 60 years of exile of the Tibetan Diaspora. A journalist from USA TODAY, Calum MacLeod recently visited what used to be the encampment of Terton Sogyal, near Serthar, in today’s Sichuan Province. It is here that Khenpo Jigme Phuntsok ,another reincarnation of the Terton, founded the Larung Gar Buddhist Institute in 1980. The Institute was razed to the ground in 2001, when Beijing discovered that thousands of Hans were studying Buddhism there. Today, though the Khempo is no more, the Institute has risen again. For McLeod: “The academy and its rising number of converts from China's dominant ethnic group, the Han Chinese, reflect a remarkable and quiet recovery for Buddhist teachings [in China].” The phurba is perhaps quite efficient after all. Apart from the tantric rituals, politics or human rights violations in Tibet, you will learn a number of things about mysticism in Tibet while reading Pistono’s book, even how realized Lamas depart leave in a ‘rainbow body’ at the time of their death. Worth reading about, if not experimenting! We lived in a strange world. On one side, we have ‘great leaders’ taking ‘vital’ decisions for our future at the G20 Summit in Cannes on the French Riviera, while on the other side ordinary people (known as the ‘common man’ in Indian political parlance) struggle with their miseries and their aspirations. In today’s world, there is no connection between the two. While the ordinary man cannot really understand the ins and outs of the famous economic ‘crisis’ (except for the fact that the bankers never lose ‘their’ money), the 20 most powerful persons of the planet promise that everything will be solved for our good. What is this crisis about? For dummies, it can be simplified thus: Europe is broke, the US are deeply indebted, while China is rich and does not know what to do with its Yuans (it is also true of India, but in a much smaller measure). As a result, Sarkozy and his colleagues have been courting China. A few thousands kilometers away, Tibetan monks and nuns are immolating themselves. The latest on the list (the eleventh) was Palden Choesang, a 35 years old nun from Kardze Tibetan Autonomous Prefecture. 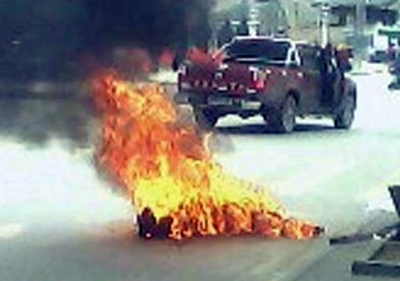 She set herself afire in protest against the Chinese government’s suppression of religious freedom. Before dying near a Buddhist stupa, she shouted, ‘Freedom for Tibet’, ‘Long live H.H the Dalai Lama’ and ‘Let the Dalai Lama return to Tibet’. Immediately after her death, heavy contingents of police arrived and placed further restrictions on the clergy’s practices. What is the connection between the two events? There is none. For a simple reason: as poor, sinking Europe had to beg from China, the West must remain silent while China is asked to ‘help’ by investing some of its $3.2 trillion in foreign exchange reserves in the bailout fund. But China is not even responsive. Hu told Sarkozy that the European debt problem should be mainly solved by Europe: “We hope that the implementation of the plan will address current difficulties in Europe and boost European economic development”. It is not difficult to understand why everybody keeps mum about the tragic events happening in Tibet. This series of self-immolations began on March 16 when Phuntsog, a 21-year old monk of Kirti Monastery set himself on fire in Ngaba. It continued on 15 August with Tsewang Norbu of Tawu Nyatso Monastery. On 17 October, Tenzin Wangmo a 20-year old nun was the first nun to immolate herself. But who is to tell this to Hu Jintao who could tomorrow be Europe’s ‘savior’? The Dalai Lama on tour in Japan affirmed: “these incidents of self-immolation are very very sad. The leadership in Beijing should look into the ultimate cause of these tragic incidents. These Tibetans have faced a tremendously desperate situation, otherwise nobody will commit such drastic acts”. But Beijing’s leadership is not ready to listen. The renown dissident and poetess Tsering Woeser recalled on her blog that in 1948, Quang Duc Thich, a Vietnamese monk burnt himself in Saigon. Woeser said that the 67-year-old monk’s last words were, “before closing my eyes and moving towards the vision of the Buddha, I respectfully plead to the [Vietnamese] President to take a mind of compassion towards the people of the nation and implement religious equality …I call the venerables, reverends, members of the sangha and the lay Buddhists to organise in solidarity to make sacrifices to protect Buddhism.” Woeser believes that the same aspirations and feelings pushed Tibetan monks and nuns to set themselves on fire. Do not conclude prematurely that the Communist regime in Beijing does not like Buddhism. On the contrary, these days Beijing seems to love the philosophy taught by Gautam Buddha. The Chinese are said to have pledged 1 billion dollars for the project. It means that Beijing ‘loves’ Buddhism, does it not? So, why the Tibetan monks and nuns continue to immolate themselves? Unfortunately, today Buddhism is just a propaganda tool in Beijing’s agenda which dreams to spread its ‘soft power’. The Economist recently reported that China plans to invest $3 billion in Lumbini, the birthplace of the Buddha. The Economist explained: “After Prachanda, the leader of Nepal’s Maoists, stepped down as prime minister in 2009, he several times met representatives of The Asia Pacific Exchange and Co-operation Foundation (APECF). In July Chinese media reported that the Hong-Kong-based foundation—which is widely thought to have China’s backing—had signed an agreement with UNIDO, the UN’s industrial-development organisation, to invest $3 billion in Lumbini.” The objective is to make a ‘Mecca for Buddhists’. The Economist said that the news caused an uproar in Nepal as neither the central government nor the local authorities responsible for Lumbini were consulted. Later the Nepalese government refused to entertain the deal. “If this was an exercise in Chinese ‘soft power; it was a disaster’, The Economist commented. Today’s China seems to have a different definition of ‘culture’ or ‘religion’ than the rest of the world. One cannot expect the Tibetan monks and nuns who continue to immolate themselves, to understand these doctrinal niceties, they just want to practice the Dharma. It is all the more indecent that a renowned person like Amartya Sen who pretends to revive the Nalanda Tradition of compassion and openness, not only remains quiet about the immolations, but continues to go begging to Chinese authorities for a purely Indian cultural project. The world is indeed upside-down. My article Why China is unlikely to attack India now is posted on Sify.com. Click here to read. This article of The Hindu Business Line is quoting me, the author has however forgotten my conclusion: "If China wants again to ‘teach a lesson’ to India, it will be a Himalayan task, and in the process, the PLA may get a ‘bloody nose’, as they say in the Army." On the last day of the G20 Meet in Cannes on the French Riviera, President Sarkozy had a one-to-one dinner with only one of his 19 colleagues, guess who? No, not Manmohan Singh (to sell the Rafales? ), but with Hu Jintao! One thing is sure, would China try again a '1962' on India, it will be the end of exclusive suppers for the Chinese leaders. Beijing knows that it would 'lose face' in the process. It is an important factor for the present Emperors. Is a repeat attack on India still a live option in China's strategic calculations? No security analyst on the Indian side dares to say no. So deep is the hurt to the Indian psyche caused by the 1962 invasion. The assumption invariably is that China at some point will see it as the only means of asserting its power and dominance to elbow India out altogether in the global race for leadership and influence. A research paper of India's Institute for Defence Studies and Analysis, known for its hawkish propensity, moots a graded three-tier proposition: A Kargil-like limited war on a specific section of the border or line of control (LAC) of a limited duration amenable to a negotiated termination; a “territorial grab”, possibly of Tawang; or lateral or horizontal expansion of the conflict engulfing Ladakh, Central sector, Sikkim and Arunachal Pradesh. Prof. J. W. Garver, the noted scholar specialising in Chinese studies, in his book, The Protracted Contest: Sino-Indian Rivalry in the Twentieth Century, also conceives of three scenarios which make an armed conflict “probable”: China intervening in an Indian-Pakistan war in support of the latter; a major uprising against its rule in Tibet in which China suspects India's hand; and the unresolved border dispute coming to a boil and getting out of hand. Mohan Malik, expert on Asian security matters, in his book China and India: Great Power Rivals, considers the probability “extremely low”, but real, since China would want to “lash out against India” if it looks like surging ahead of China in economic growth. The only counter to these Doomsday forecasts that I have seen is from Dr Claude Arpi, a respected Tibetologist. He bases his reasoning primarily on the cordial relations that exists between the local administration and the Indian armed and para-military forces, on the one hand, and the tribal leaders and the local population, on the other. His impression, after a personal visit to the North-Eastern States, is that the local Monpa population is resentful of the description of their area as Southern Tibet and will never accept Chinese dominion over the region. But these are intangibles, though they will conduce to the flow of accurate human intelligence, effective civil defence measures, security coordination and protection and maintenance of infrastructural assets. The acid test will always be the preparedness of India to give a fitting response to any aggressor from across its borders. The one major difference between 1962 and now will be the certainty of India deploying the full strike capabilities of its Air force to attack China's supply lines and stop its advance before it begins. However, published reports have always projected India as lagging behind China to a disturbing extent in respect of infrastructural development, manpower, equipment and even inventories and war wastage reserves. Critical shortages are said to be worth Rs 60,000 crore, equivalent to 10 per cent of defence inventory in missiles, ammunition, heavy-lift helicopters, gunships, howitzers and modern communication systems. China's armed forces are seen capable of driving up to most theatres on the border on well-laid highways, and moving 34 divisions or over 400,000 soldiers in a month. All this notwithstanding, China is most unlikely to start any armed conflict with India even on a limited scale. It is no longer the fanatically militant pusher of Marxist-Leninist ideology, ever on short fuse against fancied offence and insult. In the 50 years since 1962, it has mellowed considerably, and developed the restraint and sobriety of a self-confident achiever on the world stage, eager to retain its respectability as a quasi-capitalist economic giant. India too has earned universal admiration for its success stories and doing one better than China as an impressive model of development while still nurturing the values of democracy. China knows that India is no push-over. The entire world will be ranged against China if it makes any aggressive move. It is only by bonding for lasting peace and close friendship India and China can hope to achieve the levels of greatness and prosperity deserving of future world powers.